There’s something superhuman about John Winston. He’s supposed to be living in retirement in Palm Coast. But retirement isn’t his game. At 76, he is the patriarch of a family of seven children and three dozen grandchildren (at last count), many of whom have him jetting around the country to care for them when they falter, when they get ill, when they run into one obstacle or another that a father feels compelled to help remove. It’s that same quality that made him a natural leader of an organization that essentially provides father figures to boys and young men in the Flagler County school district who have a few strikes against them. Being young and black in an insistently white culture that tries but still has a distance to go to really learn the meaning of racial equality is challenge enough. Being born into dysfunctional families only compounds the challenges. 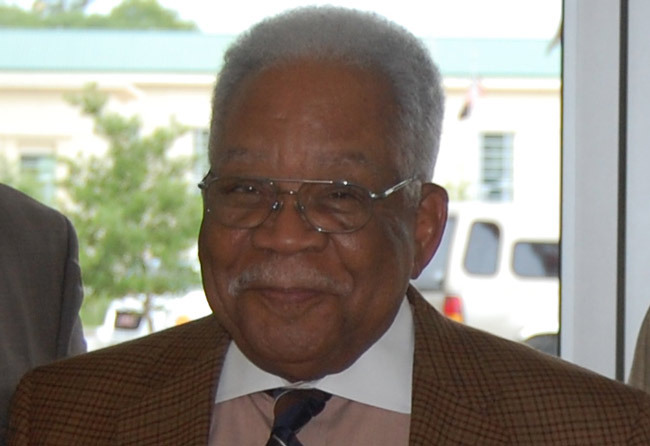 A decade ago, Winston, with then-School Board member Jim Guines, devised the African American Mentor Program for Flagler schools. They would recruit adults, most of them black, to be mentors to students in middle and high schools, students who needed father figures—not someone to take them to the movies, but someone to show them the right way, to straighten up when they falter, to love them and to be tough on them, but mostly to be there for them. The program has thrived and become a pillar of support for the district, despite the fact that most mentors are in their 60s, 70s and 80s, and six years ago expanded to include girls, mentored by women. 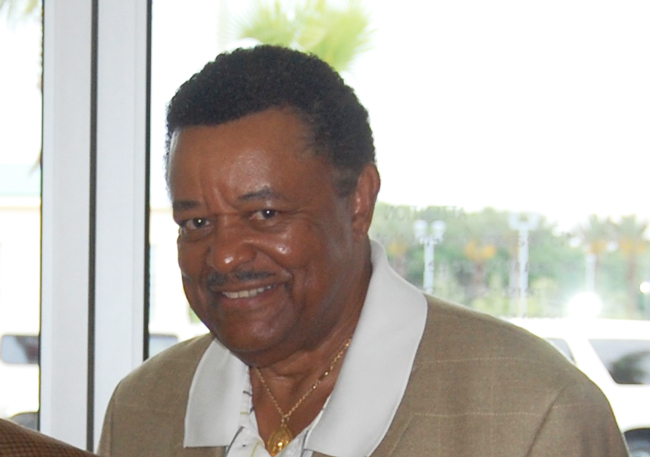 Earlier this week, the Flagler County School Board honored Winston with the Power of One Award, designed to “celebrating individuals throughout our school district and community who exemplify the meaning of the power of one.” It was an emotional 23 minutes of tributes and praise attended by many mentors, and by Winston’s wife of 45 years, Fanchon Winston. The honors were started by board member John Fischer—himself immersed in the mentor program over the past year. Fischer was almost overcome with emotions by the occasion as he spoke of his experience with mentors. Winston also recognized the women of the AAMP who mentor young women and have been doing so after Winston remarked to Katrina Townsend, the director of student services, that girls had as much need as boys of mentors. Thank you for your dedication to the young people of Flagler County. Wow. Neat man. Thank you for your service, Mr. Winston! If Mr. Winston were white and were mentoring to only to white students it would be called discrimination. Mr. Winston should be mentoring to any and all children if children were truly in his best interest. All too often do we hear about discrimination when it comes to Africian American,s but we all too often hear of where happenings as this are actually discriminating against whites. There are lots of white students that need mentoring too, and they should not be left to fall between the cracks. So sad that you “Reality” are so ill-informed. “white” children whose parent[s] ask to enroll their sons/daughters in the AAMP are not excluded. In fact, my husband is mentoring a [white] child from Old Kings Elementary School and has done so for two years. You should also be informed that any interested individual [or any race] can become a mentor in this Program and there has been “white’ mentors involved in this wonderful program. I am certain that you would be welcomed…and not because of your race [whatever it is],,,but because [I hope] you care enough to look beyond the color of person’s skin.